Saudi Energy Minister Khalid Al Falih told reporters at the meeting in Abu Dhabi, "The kingdom's crude exports for December will be 500,000 bpd lower than November. There is no consensus yet among oil producers about cutting production." Russia's energy minister, Alexander Novak, had this to say after the meeting, "…We shouldn't be making any hasty decisions. We need to look at the situation very carefully to see how it will develop so that we don't end up changing our course by 180 degrees every month." He also said that no emergency action was warranted to stem a decline in oil prices. He is on record saying that the long-term price of Brent should be about $50 per barrel with the premium from Iran. Given the sensitivity of Saudi Arabia to Trump’s statements about OPEC manipulating oil production and prices, there have been no further Saudi public remarks about what they may do at the upcoming meeting. 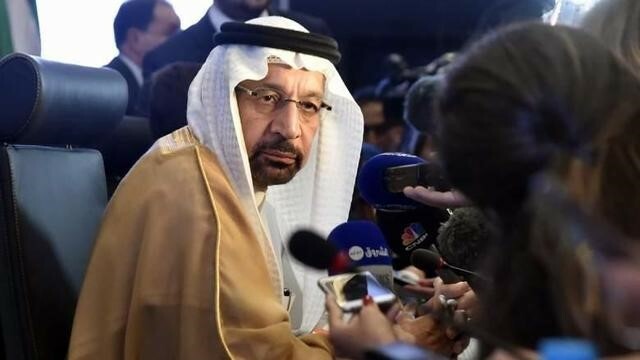 However, in an interview with TASS on October 22nd, Saudi Energy Minister Khalid Al-Falih said, "it is important to help moderate the volatility so that all participants and especially investors know that big producers like Russia and Saudi Arabia are working together to balance the markets." "We want to sign a new cooperation agreement that is open-ended. That does not expire after 2020 or 2021. We will leave it open. And what we would like to do is continue for OPEC and non-OPEC to work together. And the difference is that there will be no fixed term for the agreement, which allows us to bring production up or down. It should not have fixed production target. But it allows us to perform regular coordination and sharing information on what are our views on the market, supply and demand, how healthy the market is, what kind of intervention we need, if any, and when." "…History has also demonstrated that intervention in response to structural shifts is largely ineffective, and I believe we've learned that lesson. 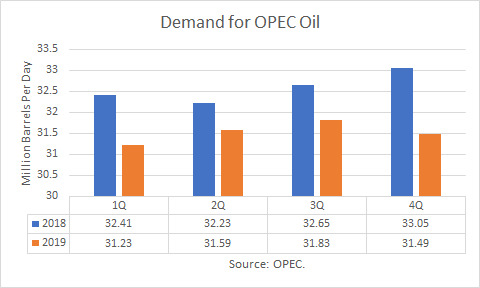 That's why Saudi Arabia does not support OPEC intervening to alleviate the impacts of long-term structural imbalances, as opposed to addressing short-term aberrations such as financial crises, economic recessions, unforeseen supply disruptions, or the like." OPEC is dealing with the long-term structural shift in shale oil production. EIA estimates of production of crude oil and other supplies for August 2018 was 18.39 mmbd, and an increase of just over 3.0 mmbd from a year earlier. Furthermore, according to a recent report, the Permian Basin is expected to add as much as 2.0 mmbd in 2019 as three new pipelines come online. And in 2020, more new pipelines are expected. The Saudis run the risk of angering President Trump if they decide on a production cut with OPEC and Russia to firm-up prices. And so far Russia is not keen on the need to cut production. Saudi Arabia will not cut on its own, according to Mr. Al-Falih. He says the 25-member group must get behind such a cut. What is clear is that the world will be awash in oil once again if they do not cut, and prices will tumble, perhaps to $40 or even lower. 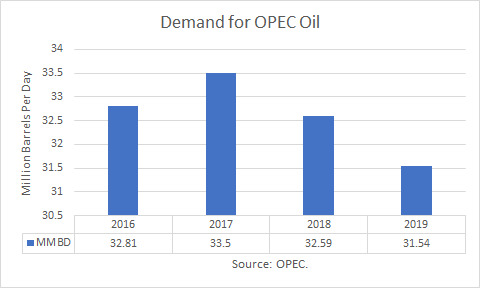 However, if the group cuts production and keeps WTI prices above $50, there will be a “tsunami” of oil coming from the Permian later in 2019 and 2020. They would just be kicking the problem down the road another six months or so.